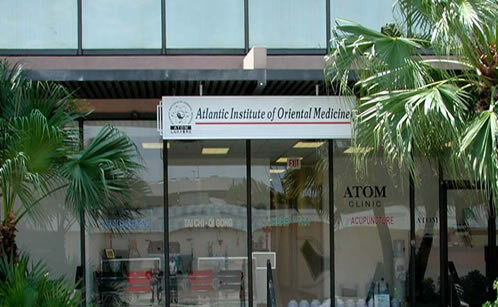 Atlantic Institute of Oriental Medicine (ATOM) and Shanghai University of Traditional Chinese Medicine (SHUTCM) have a collaborative agreement which allows students enrolled in our DAOM program to have the opportunity to pursue a Ph.D. in China through SHUTCM with only one additional year of study. This is a unique opportunity to advance your academic studies. SHUTCM recognizes the two years of our DAOM program as equivalent to the first two years of their 3 year Ph.D. program. They require that interested students be enrolled concurrently in both the Ph.D. program at SHUTCM and the DAOM program at ATOM. Two short stays in Shanghai are required to work with a mentor and take a few classes. The first trip would occur in May of the second year of the DAOM program. The second trip would occur in May of the year following completion of the DAOM program and would involve defending a Dissertation in English. SHUTCM is working with us to provide mentors that teach in English and who match the student’s areas of interest. There are mentors available for both TCM and Acupuncture at this time. Those students interested in the Ph.D. opportunity must complete and sign the DAOM/Ph.D. Intent form along with the DAOM admissions application, be accepted by ATOM for the DAOM program and complete the application process for SHUTCM by September 30th of the year they begin the DAOM program. As we enroll a cohort in April and October, this will mean that those students enrolling for the October cohort will need to be accepted by ATOM no later than September 1 and have completed their enrollment process with SHUTCM by September 30 before beginning DAOM classes in October. Admission into the ATOM DAOM program does not guarantee admission into the Ph.D. program in China. Be able to afford the $15,000.00 cost of tuition for the Ph.D. program at SHUTCM ($2,500.00 year one, $2,500.00 year two and $10,000.00 year three). No financial aid or scholarship is available. Be able to travel to China for a minimum of 3-4 weeks during May of the 2nd year of the DAOM program and 3-4 weeks during may of the third year of the Ph.D. program.